If you think ice cream is a rich treat, you should try it covered with gold leaf! You will be able to enjoy this treat with green tea that is prepared and served by a maiko. The maiko will also chat with you and answer any questions you may have about Japan. Make your reservation today for this uniquely Japanese treat. 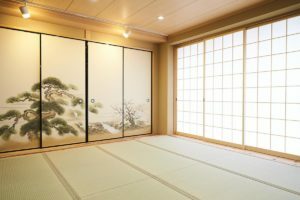 This will be your golden opportunity to spend an hour relaxing and enjoying some of Japan’s noteworthy luxuries. One treat in Japan that is becoming increasingly popular is ice cream covered with a gold leaf. It’s so beautiful to look at, that it’s almost a shame to eat it! When in Osaka, you can enjoy this wonderful snack served in an Edo Period antique dish. A maiko will serve the gold-leaf ice cream, and will prepare some green tea for you to drink as well. 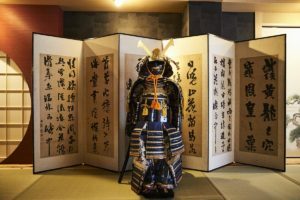 As you eat and drink, feel free to ask the maiko any questions you may have about Japan, its traditions and culture, or about the history of maiko. This charming apprentice geisha will be happy to answer all your questions and to spend time with in a relaxing and interesting atmosphere. 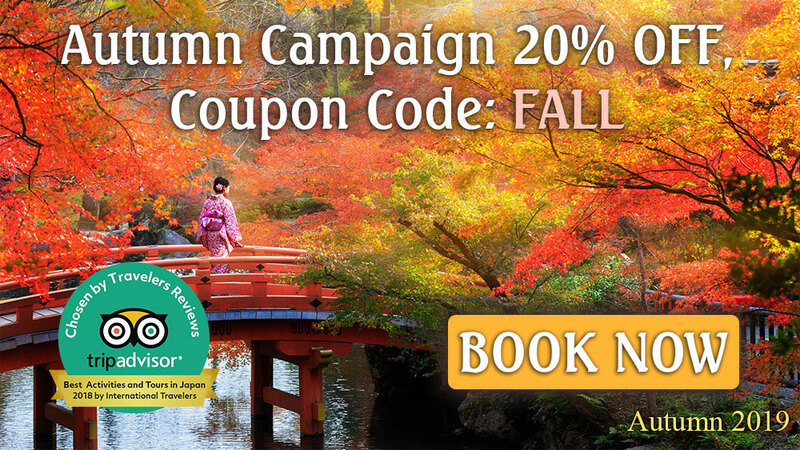 Come take part in this experience that you can only find in Japan. 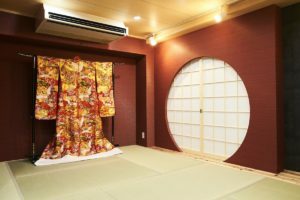 Disclaimer: The building where Maikoya Osaka is located used to serve as a geisha house; however, currently it is not a geisha house or Okiya. The geisha who is serving you is not someone who lived in Okiya for years. 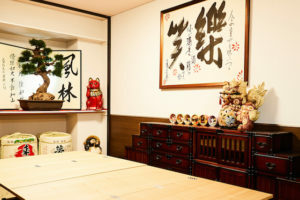 Maikoya’s main focus is promoting Japanese crafts and arts and Maikoya certainly does not follow the code of Kyoto or Tokyo geisha houses or affiliated with any okiya or geisha association.